Rear Film Screen (RFS) is a rear type projection film which can be applied directly to glass or acrylic or any transparent materials. 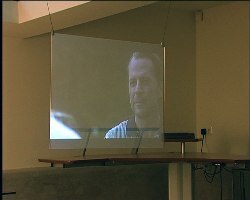 RFS film can cut to any shape, graphic, icon or logo to create unique promotional eye-catching screen. 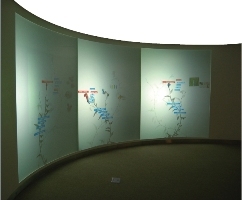 With transparent backing behind RFS screen it can be curved or moulded to create innovative screen solutions or application e.g., circle, globes or wave effects. RFS is made of light resolution, highly versatile, flexible and self-adhesive film which made of PET material able last more than 5 years. It is designed with 99% UV rejection and no color discrepancy or fade out over time. 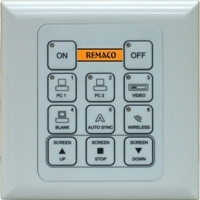 Remaco MIC-806 Media Interface Controller is an electronic controller that can be used to control a projector as well as to trigger an electronically controlled screen and designed for user-friendly. By connecting the projector and the screen controller to the MIC, it eliminates the hassle of the use of remote controller, ideal for a simple Classrooms, Training rooms and Conference rooms which require to control for example LCD projector at a touch of button.